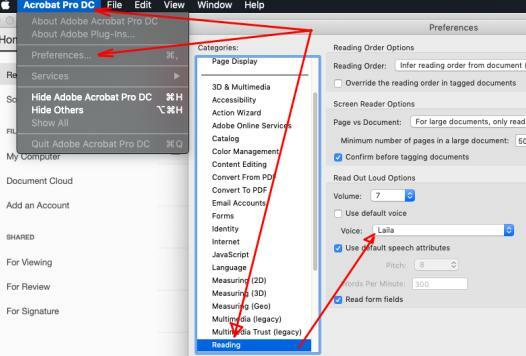 How to activate Arabic voice in Adobe Acrobat / Reader ? 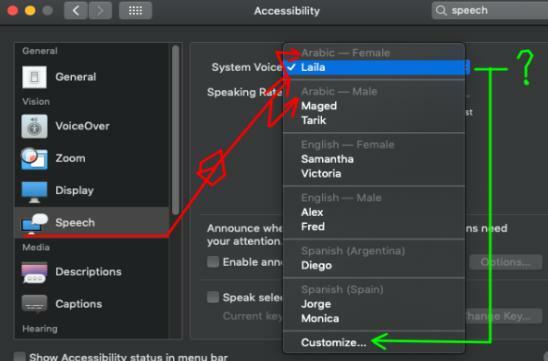 Thread: How to activate Arabic voice in Adobe Acrobat / Reader ? The other day we struggled to check the functionality of reading a document in Arabic with the "Read out Loud" function that comes with Adobe Acrobat Pro and Acrobat Reader. So if anyone else needs it, here are some pointers and screen-caps. - Make sure the PC you're working on has an Arabic Voice installed. Next time we'll see how to do it on Windows. Don't hesitate to ask, if any, questions. 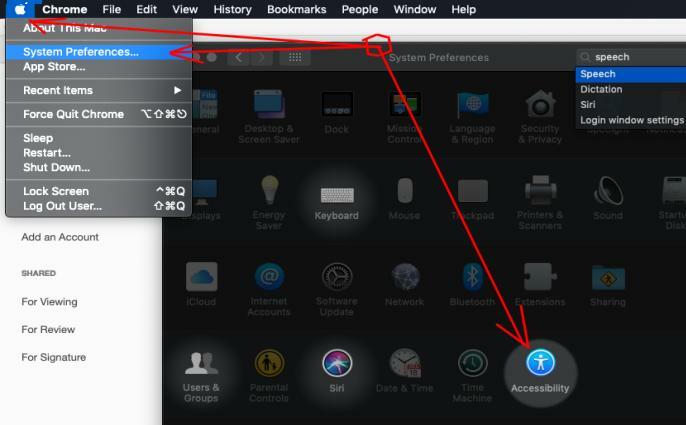 Re: How to activate Arabic voice in Adobe Acrobat / Reader ? OK so, in Windows OS the deal is different. First of all if you have Windows 8.1 or lower (8, Seven, XP or some in the middle) we'll do another post about it, just reply to this thread telling us the version you have, or send a screenshot of what appears when you do a right-click -> Properties on the "My PC" or "This PC" Icon wherever you can find it. For all of you that deal with WIN 10, here goes! 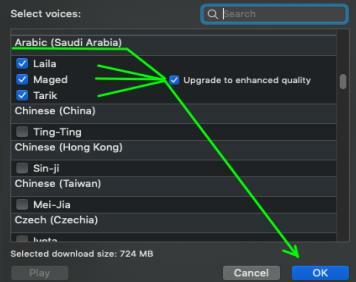 Go to Settings - Language or input in the search, "Language" find your way to install the Arabic language and once it appears, look for voice icon. And then just install it. However, not as well as it works on Apple MAC. Screenshots and more, coming up tomorrow! Has any of you found a better way to make it work? Muy util eidjit, muchas gracias!